If you’re new to WordPress you REALLY want to learn without the pressure of tinkering with a live website. I strongly recommend you download InstantWP and migrate the website you have built to a live server afterwards. It is an exact copy of WordPress and gets all the WP core updates. It is an Apache server in an offline sandbox ideal for testing. When I got started with WordPress I had always wanted a way to build a WP site on my Windows computer without a web host. I heard about InstantWP and set about investigating it. During my research, I discovered other offline Apache environments like LAMP & WAMP, but for me, they interfered with my TCP ports. Edit: I now use WAMP exclusively with no trouble whatsoever on my Windows 7 PC. Whatever you use, having a local testing server allows you to experiment with plugins, themes, tools and code. Downloading and uploading file directories is something you can take for granted with an average, static website. It’s easy to just copy files over to your webhost’s server. However, WordPress is a Content Management System (CMS) built with PHP includes and a .SQL database. It’s a different kind of beast. I do all the WordPress development offline and then migrate it to the live server, but can also do it the other way round by importing a website that already exists online. For instance, I frequently change or edit WordPress blog posts on the live version, make backup copies of the database for this site and then import the backups into InstantWP. This way, I know I have a backed up version suitable for running tests and backing up to disk. I have two identical websites: one online and one offline. The IWP software is also portable, meaning it doesn’t have installation files like typical computer programs. It is self contained inside one folder and runs off the InstantWP.exe file. This means you can install the software on a USB drive and run it from that drive. Very handy when working with clients. When you install the software, you’ll see a folder called “wordpress”. That folder acts as the server root for the offline version. When you migrate online the “wordpress” folder will disappear and become your top level domain. Your site is assigned a local I.P. address in a folder called “wordpress”. When you migrate to your host it will change. … when you migrate your local site to a live server, the URL will change from http://127.0.0:4001/wordpress/ to http://www.yourwebsite.com/. The default user login is “admin” and “password“. You are strongly advised to change these details to something hard to guess before migrating online. You’d be surprised how many people neglect this. With InstantWP you also get phpMyAdmin with a pre-configured MySQL database. By default the username is “root” and the password is left blank. During the process of migrating the site to a real server you will be asked to provide the username, password and hostname of your webhost’s database. You would have set up on your web host database ahead of the migration and written down the details. Basically, you pour the contents of your local database into your live database. The only thing that will be different is the name of the database and the logging in details. 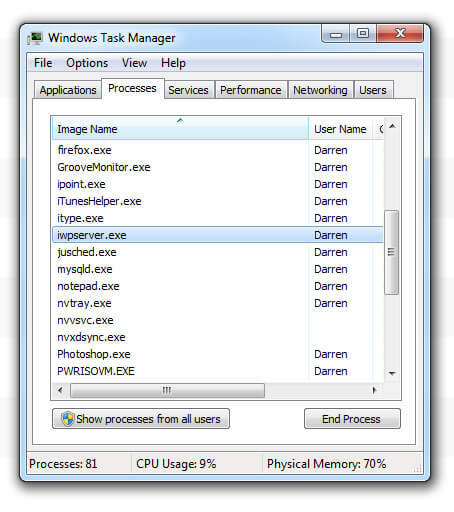 The early versions of IWP used Internet Explorer as the default browser, but was later changed to use FireFox by default. The problem is, you might be using Chrome! You may set a different browser by adjusting the setting in the InstantWP server configuration file pms_config.ini. You can find this file within the iwpserver folder. Locate and open the file in WordPad or Dreamweaver. We need to change the line for setting the BrowserPath variable in pms_config.ini. Change this line to something like below, to the path of your favourite browser. To get the browser path, find the folder on your computer where your browser is installed. It’s usually Program Files. Locate and right click the .exe icon of FireFox, Chrome (or whatever you prefer) go to Properties and get the local path from there. Before you migrate your site online, please take the time to configure your username settings in phpMyAdmin. This is important because you’ll be fixing a weak link found in all WordPress installations by default. It’s incredibly important to take this step. Few WordPress tutors ever mention this. By the way, you can only run one instance of InstantWP at a time. The reason for this is because of the local I.P. address used. As mentioned earlier, the local I.P. address is http://127.0.0:4001/wordpress/. If you have multiple installations running on the same computer you must be careful. I work as a web designer so throughout the day I’m switching between different local servers. You’re going to face some nasty problems if you don’t restart Apache by completely exiting InstantWP before you open a different installation. Press CTRL & ALT & DEL to end the iwpserver.exe process before rebooting your machine. I often find Apache isn’t fully closed until I restart the computer. 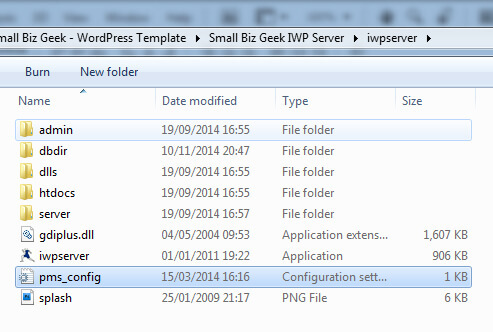 Then you may open up any other site you wish to work on without any conflicts between iwpserver.exe processes. Yes, it’s a bit of a nuisance waiting for the machine to reboot but it’s a good time to go and make a cup of tea. 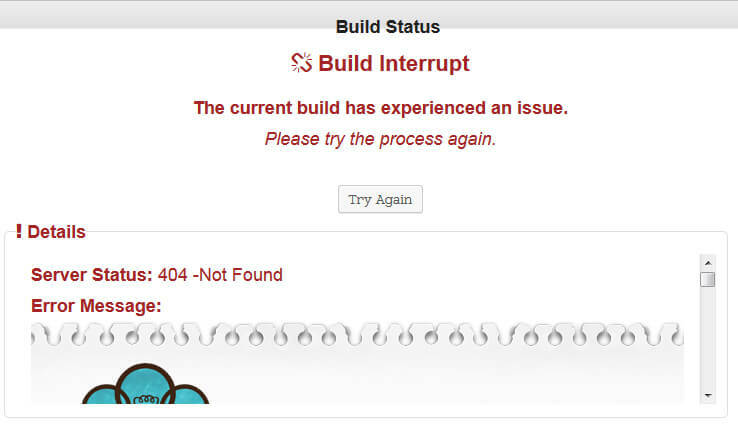 Here’s another heads up – the first time I installed InstantWP I ran into some OTHER errors – plugins kept timing out for no apparent reason. Let’s say you’re wanting to move your site to your webhost. If you do this using a backup/migration plugin you’ll most likely want to build a .zip package with a php installer file. For one of my sites, building the .zip package took around 70 seconds BUT the 30 second default time set in InstantWP was throttling the processing time. Turns out I had a massive uploads folder. The WordPress uploads folder is where all your image are stored when you use the built in media uploader. After some digging I discovered the default maximum execution time for processes within the local server was set too low. The massive size of the uploads folder along with all the text on the webpages caused the timeout errors. In layman’s terms, WordPress ran out of time, got bored and threw me a hot potato! Thankfully I was able to email the creator of the InstantWP (Seamus Brady) for assistance. We figured out it would be necessary to extend the execution time settings in php.ini file. Then, the next time I created a backup of the website for migrating it to the live server, none of the backing up plugins would experience issues. I need you to open this because that’s where the processing time settings are located. Open php.ini either in Notepad, WordPad or some other text/code editor. Change to the value to either “0” for no time restriction whatsoever or “3600” for the theoretical maximum. Note: Once you migrate your site to your live host, you *might* need to go into your host settings and set the values again for php.ini. Some hosts (like DreamHost) use phprc. It seems the values can get reset to their defaults. I spoke to my hosting support for help with this and they helped me reset the value. Here’s the big question I raised at the beginning: How on earth does one transfer their WordPress website onto a live server? Hmm? One way is to manually access phpMyAdmin through InstantWP, download the .SQL file and then upload that file to the live version of phpMyAdmin on the your web hosting server space. This is Ok, but you need to make sure you change all your permalinks. It requires that you manually change the local permalink to the remote permalinks. Not only that, you still need to manually copy your server directories with all the images/files to your host. So what’s a quick way to migrate? The way I migrate a WordPress website to my host is with a free plugin called Duplicator. You can read a quick tutorial on how I do it, plus some other tips. This detailed guide is over 50 pages explaining the entire process of setting up InstantWP including how to use Duplicator for site migration. 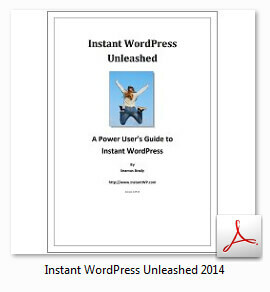 Instant WordPress Unleashed is written by Seamus, the author of the InstantWP software. The PDF guide was instrumental in helping me learn to understand the site migration process back in November 2013. Unfortunately I’m not an affiliate but if the option to do so was available I’d definitely become one. If there’s one criticism of the book it is that the page numbers are wrong in places, creating slight confusion. The eBook cost something like $27 with free lifetime updates plus email support from Seamus. Paying for the guide is something I was happy to do, considering the software itself is free. I’ve asked A LOT of questions over email and Seamus always responded. (He knew I’d paid for the book so he knew I was a legitimate customer). Do you want to test your WordPress sites in a safe, secure offline sandbox? Do you need to test plugins without compromising your live site? Have you had problems with a manual install of WAMP? Get the latest version of InstantWP and try it out. Once you’re inside the software, you may be prompted to run a WordPress update. If you cannot update automatically while offline, you’ll be able to do it once your site is live. Problems are few and far between, and more often than not it is a plugin issue. Follow the due diligence security tips I’ve showed you and you shoul be fine. 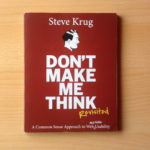 You will end up loving it like I do, and if you have questions, you can always get in touch with the author of the software Seamus Brady. It’s easily one of the best tools I have and it’s free. That’s it. Brilliant software. No contest. Please leave comments, questions, tips and advice below. Hi – any advice on adding a Duplicator package to an offline InstantWP install? I remove all the InstantWP files/folders, add Duplicator’s installer.php and accompanying zip file, but can never get the settings correct. Do you have an error report? Better still, a screenshot? Hi – hey I figured out it was because the php version on InstantWP was so old (v5), wasnt compatibel with the Duplicator plugin. I was going to work out how to upgrade InstantWP php, but then saw seamus was doing a complete upgrade to InstantWp….. Yes new versions come out often. You might want to try WAMP, which I think is a bit easier and smoother than IWP. WAMP doesn’t run off a USB drive the way IWP can though. Upgrading the WordPress installation version *within* IWP is so trivial as to escape our attention. You have to just log on to your WP dashboard within IWP, then just click on either of the two update locations – the two semicircular arrows in the top left of the WP dashboard or the updates button on the sidebar. And, voila! It will present you with option to update not only your WP installation – if updates are available, but also any of your plugins and themes that you may have installed within your IWP installation. I’d have attached a screenshot but I couldn’t find any means to do so, over here. P. S. Thanks Darren for the __Duplicator__ tip. I’m an entrepreneur from the __3rd world__ and even $27 is unaffordable for me considering it’s for just an **ebook** !! And Seamus has hiked it to $37 !! You might want to look into WAMP instead of IWP and Duplicator. It’s up to you. IWP is portable though, meaning it can run off a USB stick, whereas WAMP is a permanent installation on each machine. I have a video here on using WAMP and how to manually backup and/or clone to a localhost. The principles in the video work in both directions – whether you’re moving a site online or copying it to offline.